I think that JKR has a lot of humor in her books, but some books more than others. Which one do you think was the funniest? I personally thought the Order of the Phoenix. I also voted OoTP. The Fred & George stuff was just too funny! I voted CoS. Lockhart was simply priceless!! I found the first book inventive and witty but not really laugh-out-loud funny. And books 3 to 6 were quite dark and not exactly full of out-and-out humour. "Sword? Haven't got a sword. That boy has, though. He'll lend you one." Thing are funny when they are different than you expected. As the introduction to the world of magic, this book is loaded with humor. What is funnier than Hagrid arriving with a baby on a motorcycle and conducting magic with a umbrella? There is too much humor in Diagon Alley to even begin to list them. How about the snake at the zoo or the invitations for Harry to attend Hogwarts? The chocolate frog, moving staircases, platform 9 3/4 etc. This book is tops in humor. "Some of them are working on recruiting more people to the Order-" Said Hermione. "And some of them are standing guard over something" Said Ron" They're always talking about guard duty"
"Couldn't have been me, could it?" Said Harry sarcastically. "Oh, Yeah" said Ron, With a look of Dawning comprehension... Harry snorted. HAHA! Ron is hilarious! this was one of the funniest quotes ever, even though the book as a whole isn't as funny as the others, that one quote I think was the funniest over all, I can just imagine Ron acting like that!! 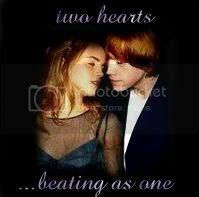 Definately OotP!! Fred and George are so funny when they leave and Ron is funny too. The Order of the Phoenix! Fred and George are great! OotP was funny becuase Fred and George where the comic relief in that entire series simply because it was the book where things where officaily going to be extremely dark weather Harry wanted it or not. It's got to be HBP. The Won Won scenes are superb! I don't know, there are quiet a bit of funny things throughout all the books. Some are even funnier because they're not very obvious. Like the password to Gryffindor tower was "Abstinence" once, and that was very amusing to me. probably OOTP what with fred and george calling Umbridge an old bat, the anarchy that goes on through out the castle when Umbridge becomes headmistress, McGonagall lending Peeves her walking stick to hit umbridge and telling him which way to unscrew a chandelair, flitwick slamming the door in umbridge's face, McGonagall and Umbridge in the careers advice, also Luna Lovegood's blatant honesty, the weasley wizard wheezes items, and arthur and Molly at st mungos when he tries to explain he had muggle stitches, and the regurgitating toilets he had to sort out at the beginning, so all in all OOTP is the funniest book I think. Honestly, I love all HP books... I voted GOF because its full of new stuffs like the amazing triwizard tournament, new actors, dragons, voldemort in whole flesh etc. its kinda cool and fun. by appearing to be what we are not!" "can you afford to board Chattanooga Choo Choo? the twins were hilarious and McG, too! let's not forget Peeves of course..
All of the books have humor in them but the OOTP had the most humor because of what the Weasely twins did to Umbrige. McGongall and Peeves were funny too. I tend to agree with all of you. All the books are loaded with humor, and it kind of depends on your sense of humor. I like the later books because of all the "hormonal humor". Order of the Phoenix, just for the fact that Fred and George pull the biggest prank off. And OotP is really the calm fun bit before the responsibilities of HBP.